With ProCharacter Corporate’s package of hand-drawn corporate characters, users can advertise their message in a fun and entertaining way. 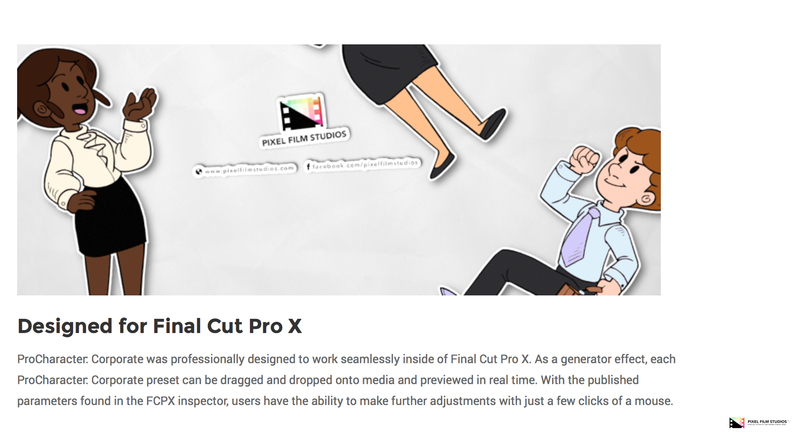 Each preset is fully customizable all within Final Cut Pro X. Simply select a ProCharacter generator and drag it above media or text in the Final Cut Pro X timeline. Stretch the generator to slow the animation and shrink the ProCharacter presets to speed it up. 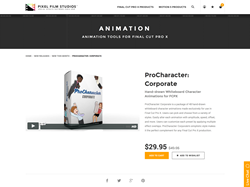 With ProCharacter Corporate each preset is fully customizable with a click of a mouse. Users have total control over skin tone, hair color, shirt color, accessory color, suit color, and more. Each user has the option of applying an effect overlay or animation preset to each generator located within the effects tab. 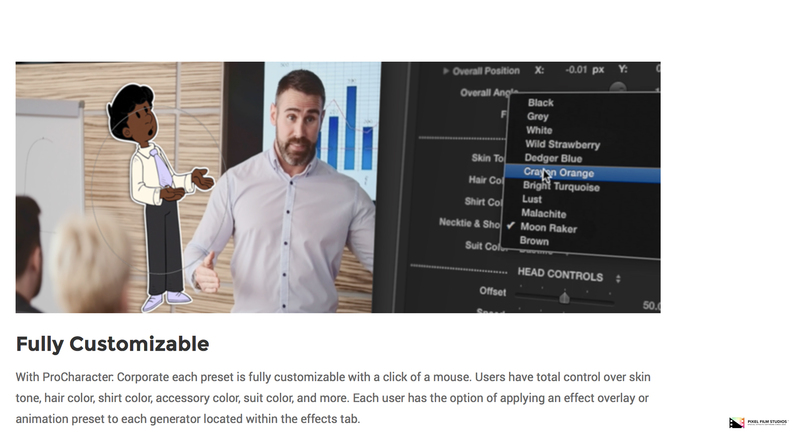 ProCharacter Corporate simple and easy to use on-screen controls give each user total control over rotation, overall scale, and position. 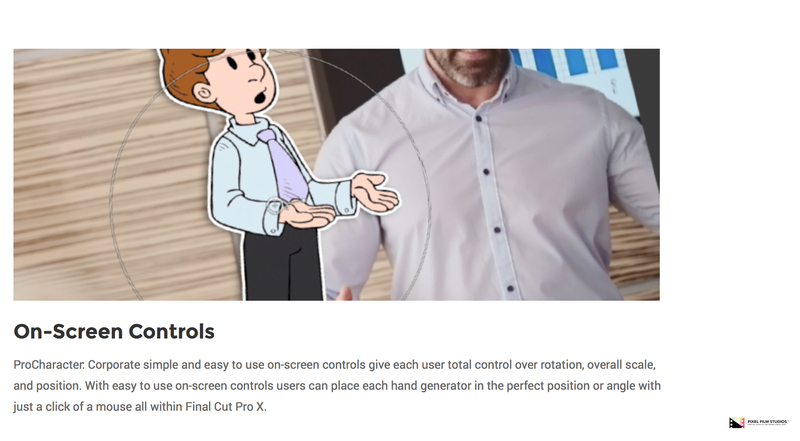 With easy to use on-screen controls users can place each hand generator in the perfect position or angle with just a click of a mouse all within FCPX. 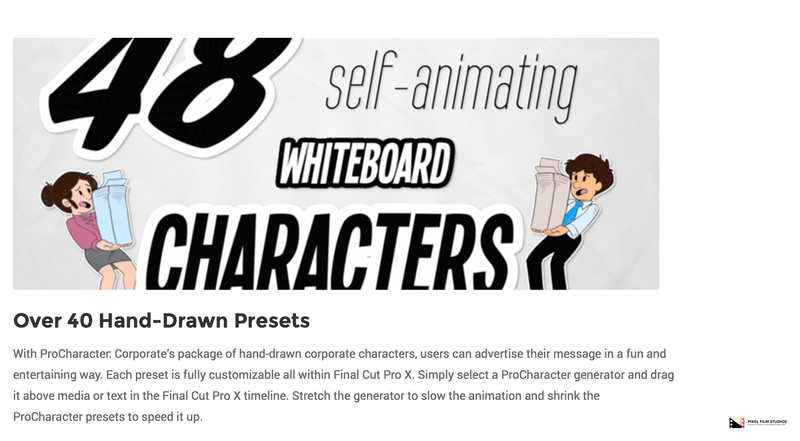 With ProCharacter Corporate there are over 30 effect overlays as well as animation tools that users can apply to each preset with a click of a mouse. Each user has the ability to select from applying an circle screen, color emboss, color gradient, colorize, crystallize, drop shadow, edges, extrude, glint, gloom, glow, halftone, hatched screen, highs, indent, glow, page curl, paper texture, squiggles, and more. 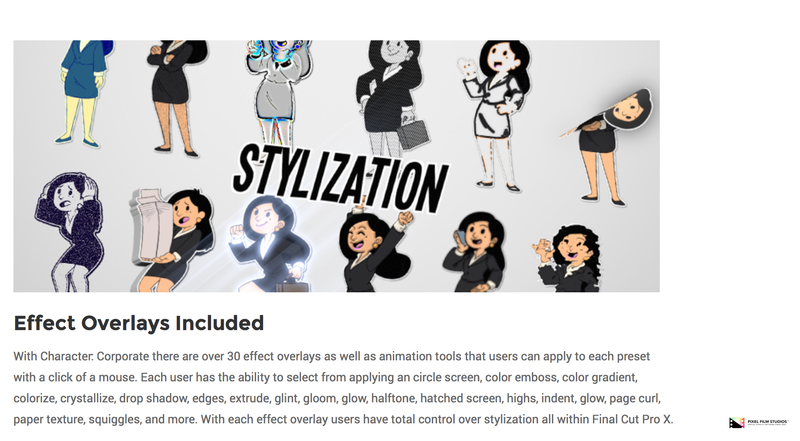 With each effect overlay users have total control over stylization all within Final Cut Pro X.
ProCharacter Corporate was professionally designed to work seamlessly inside of Final Cut Pro X. As a generator effect, each ProCharacter Corporate preset can be dragged and dropped onto media and previewed in real time. With the published parameters found in the FCPX inspector, users have the ability to make further adjustments with just a few clicks of a mouse.